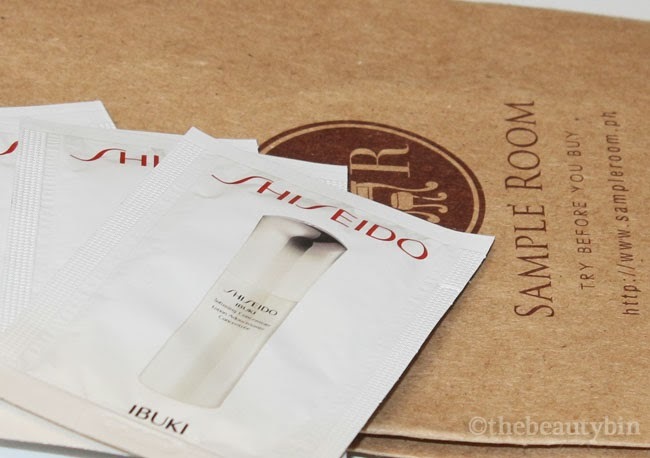 I received four sachets of samples from Shiseido's new Ibuki line (2 sachets of the Softening Concentrate and 2 of the Refining Moisturizer) from Sample Room yesterday. I'm testing these today! When Liz blogged about the Ibuki line, I knew I had to try out the softener and the refining moisturizer. I would have really wanted to try the protective moisturizer but out of practicality, I veer from SPF-ed moisturizers so that I can use them at night if they prove to be too oily for my skin at daytime. These samples are probably going to last me 4-6 days' use (softener: 2x/day, moisturizer: 1x/day). I hope I don't break out as they smell and feel so luxuriously good! Samples from the Ibuki line are still available at Sample Room. I have the softening concentrate. I haven't used it yet coz the bb cream challenge thing. I'm excited though. I haven't used a prestige skin care product... I think.